A super party dip or after school snack. 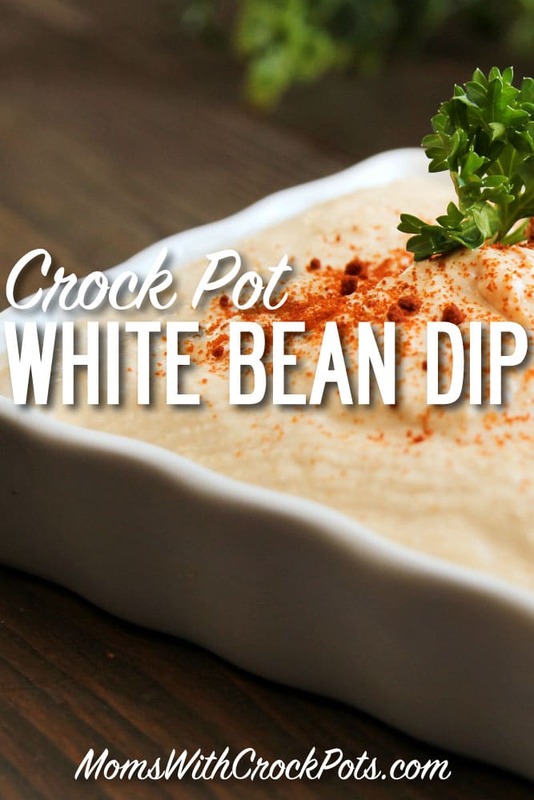 Try this healthy Crock Pot White Bean Dip Recipe! In a 1-1/2-quart slow cooker combine great Northern beans, broth, the 1 tablespoon olive oil, garlic, the 1 teaspoon snipped marjoram, 1/2 teaspoon snipped rosemary, and the pepper. Cover; cook on low-heat setting for 3 to 4 hours. Slightly mash bean mixture using a potato masher. Spoon bean mixture into a serving bowl. Drizzle with additional olive oil and sprinkle with additional fresh marjoram and rosemary; serve either warm or at room temperature with Pita chips or crusty bread, if desired. Makes 20 (2-tablespoon) servings.